The Perfect Ride, All the Time. Maintain the perfect ride height, automatically, no questions asked. Note: SmartAir II fits leaf sprung vehicles only. 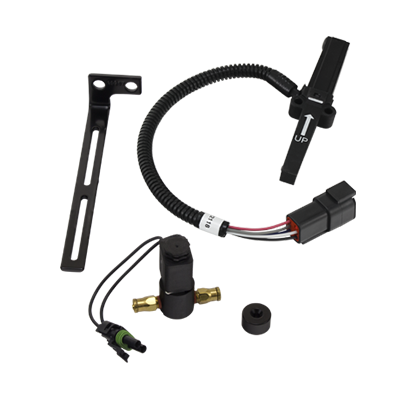 SmartAir™ II is Air Lift's IMPROVED automatic leveling system that detects when your vehicle is not level and automatically inflates or deflates your air springs to bring you back to your desired ride height. Our exclusive OEM-quality height sensor uses non-contact magnetic technology to maintain your vehicle's ride height. This reduces the possibility of malfunction due to dirt or other road debris interfering with a contact arm. SmartAir II is available in single or dual path models. Dual path allows for the inflation of each air spring independently to different pressures depending on load, while single path allows for the inflation of both air springs at the same rate at the same time. SmartAir II requires no lines or controls to be run into the cab making installation easy. 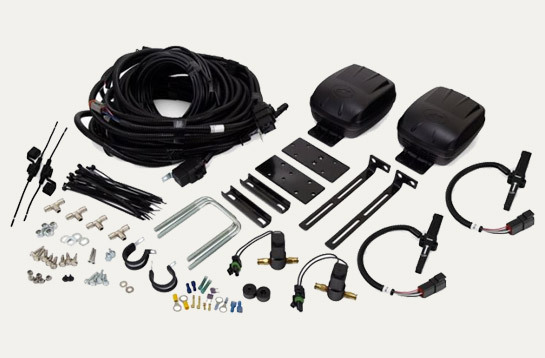 SmartAir II kits come complete with everything you need to quickly install, including a pre-assembled wiring harness, electronic sensor system and compressor.